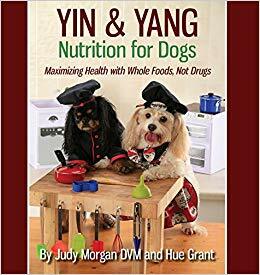 Yin & Yang Nutrition for Dogs is a unique book which will not only teach you what to cook for your dog but also how to keep your dog healthy by providing the right nutrition it needs. I have 2 dogs and I already tried cooking them some of the recipes mentioned in the book and my dogs love them. I feel that now they receive the right amount of food they need, thanks to Dr. Judy Morgan. I also feel more informed and now I know a lot about animal health. What is a better way of showing love for your dog than cooking the right food for it? Once you read this book you will love it, and your dog, too.